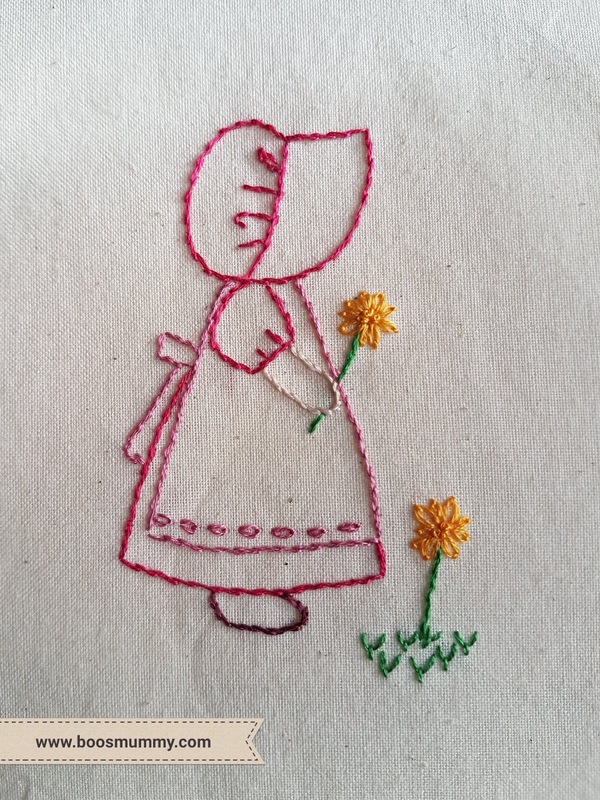 This weeks TAST stitch is Detached Chain stitch, or otherwise known as Lazy Daisy. Now for those of you who know me or have followed my blog for a while you'll know that this is definitely not one of my favourite stitches. It's not hard to do but I really don't like it 😣 it does make lovely flower petals and leaves though. 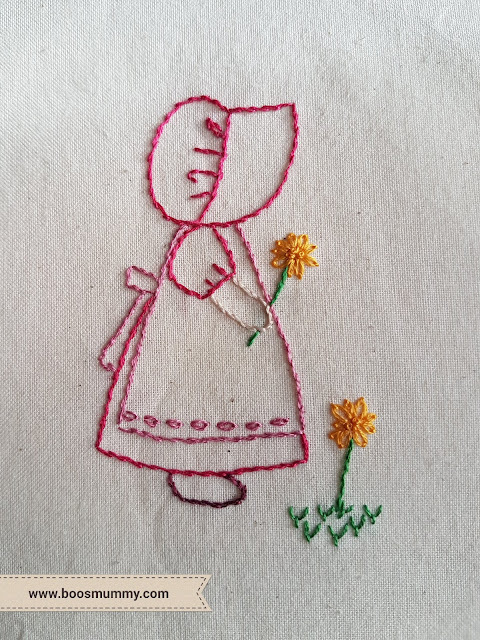 So for Sunbonnet Sue this week she's holding a flower made of the detached chain, the centres are french knots (that I absolutely love doing!). Sue turned out so nice!